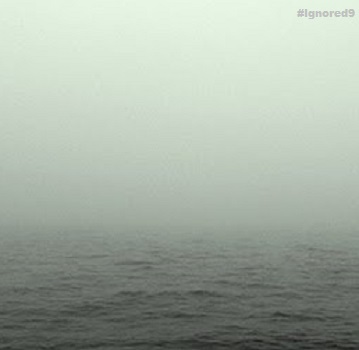 Ignored 9: Go away… stay away… profit!!! Bold statement: The most effective means of promoting music in 2013 is to stay invisible and authentically allow the fans to come to you. Whack Scottish electro duo Boards of Canada haven’t released a full-length studio album in close to eight years. Until right now. Tomorrow’s Harvest arrives amid a seismic wave of hype, at least compared to where this outfit left off in 2005. Boards of Canada were always popular, no doubt. But their woozy take on electronic music always seemed to be a bit more of a “nice to have” rather than a “must have”. Even their lauded 1998 debut Music Has the Right to Children is probably best positioned as background music if we’re being completely honest with ourselves. As us “serious” music fans typically aren’t. 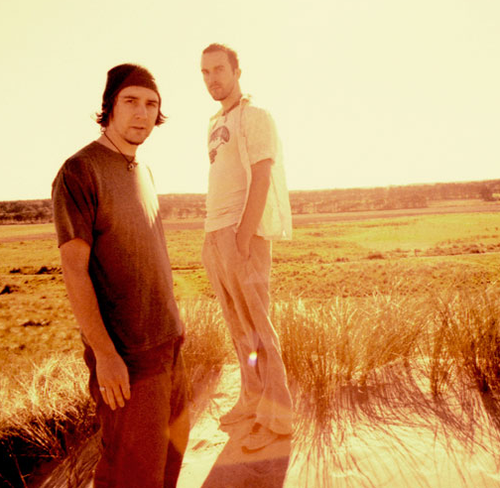 Boards of Canada and their minders used a decidedly modern approach to hyping Tomorrow’s Harvest, “hiding” song snippets out-of-doors and across the Internetz and seeding various bloops and bleeps with tastemakers over at NPR. Seems and sounds pretty effective as it’s positioned the album as one of 2013’s most anticipated (until the next one) and really helped Boards of Canada jump a layer or two in terms of (perceived) notoriety. It remains to be seen if this is parlayed into lucrative live appearances (uh, Boards of Canada isn’t good at touring) and/or things of this nature. … and yet while the Boards of Canada hype machine has been churning for much of the last few months, it was pretty much dormant for years upon years prior. Partially or entirely by design. A great way to build buzz is to shut your goddam face and let your disciples come to you, let them pine for you, let them yearn in their hearts and their souls and their wallets. No doubt, it’s chancy but it does speak to the fact that there are two exceedingly popular approaches for musicians to stay viable in 2013 and that we’re seeing each employed more and more. There are a variety of approaches to stickin’ around, whether that’s guesting on other artist’s tracks, high-profile production gigs, touring when you don’t have anything active to promote (Courtney? ), being a jerk, having somebody else be a jerk (or a-hole) to you or generally being around places where there are lots of cameras. The example of this approach are probably Rihanna, who literally has not left us for more than a couple of weeks at a time since 2005. Check her discography and you’ll see we’re entering into Cal Ripken Jr. territory: an individual who is consistently good-to-very-good on a daily basis and maintains this level of performance for years on end without any legit threats to the throne (Manny Alexander notwithstanding, obviously). Yeah, “girlfriend” is on a sick run that is now approaching the decade mark and she doesn’t really show any signs of slowing down. Time will tell but the sheer magnitude of what Rihanna has done since 2005 quite trumps Whitney, Mariah, Beyonce, Diana Ross, etc. in terms of density AND volume. Big picture: she probably doesn’t get enough recognition considering. Ironically, Rihanna’s 2005 debut Music of the Sun (terrible album art BTW) was released August 12 of that year, a precise two months (well, two months and five days) prior to Boards of Canada’s last full-length The Campfire Headphase, which birthed of October 17. Full circle, dude! Again, this is the approach Boards of Canada used when they went AWOL circa 2007-2012 and it has been employed by a variety of other artists in recent years with varying levels of success: David Bowie, Daft Punk, My Bloody Valentine, Kate Bush, D’Angelo, Guns N’ Roses, Portishead, even the Arcade Fire in a far more micro sense. The irony is in most or maybe all of these cases, the chasms between albums isn’t a marketing ploy at all. 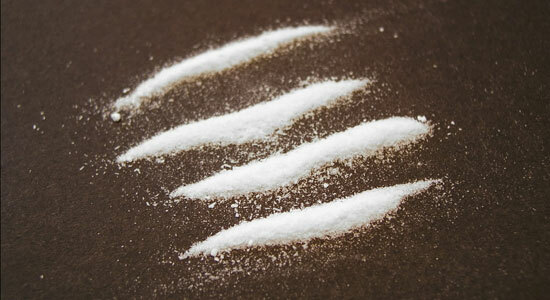 It’s more a product of disinterest or legal matters or substance abuse. Furthermore, I guarantee you in each instance, it’s largely a result of the artist not having anything new or interesting to say. That’s seriously not a bad thing: showing the restraint to stay away until you’re ready to speak when not spoken to. It’s been well documented that the record industry itself is essentially flatlining but the community still bears pock marks from its “salad days”. The standard two year “record-album-tour-rinse-repeat” cycle is still very much a thing even though albums don’t mean very much at the moment and everything that isn’t nailed down or firewalled is ultimately lifted. 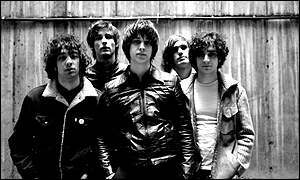 Take a band like the Strokes, who seemed like they might be encroaching on “so overrated, they’re underrated” territory when they released their kinda-fantastic 2005 effort First Impressions of Earth. That was their third full-length. What have we seen since? A couple of tepid follow-ups and a band that conveys a wild degree of disinterest, now paired with their stylized disinterest. We’re now seeing the next generation of hipster-approved outfits hitting THAT phase in their discography including future Coachella headliners the National and Vampire Weekend. These bands have been steadily “around” for a while now (the National… much longer than a while but in terms of general consciousness, a while). It appears their respective ascents are still in progress but given their active touring schedules and the ubiquity of their output in certain circles, it’ll be telling to see if people will start to lose interest some time soon. Possibly by the end of 2013? There hasn’t really been a extended stretch where people had an opportunity (the pleasure?) to yearn for Vampire Weekend or the National since they’re always playing live or talking with Pitchfork or chumming around with Steve Buscemi or Hayden or whoever. So it’s tough to gauge whether they’re yearn-worthy at all. Boards of Canada have passed the yearn test. Time will tell with these other bands. So what did Boards of Canada do during their hiatus? Not sure. What we do know is that their Reddit fans spend a lot of time sharing and speculating while various music blogs played their part in elevating the band into uncharted waters. Again, this pattern carried on for years and the result is an inflated sense of actuality that can allow ordinary bands to jump to soft-seater status and GOOD bands to effectively become legends (or headline festivals named after sauces). This isn’t a comment at all on the quality of Boards of Canada’s music…. even though it totally is. It’s more a comment on the fact that perhaps the best hype-fuelling device in modern music is a complete swing of the pendulum to everything else happening in the industry. If you ignore everything and everybody, it’ll only make people want you more. It takes a certain calibre of artists to turn the trick but when you look at the reception that Boards of Canada, Bowie, MBV and Daft Punk have received in 2013, you’ve gotta imagine that more artists will be opting to STFU for prolonged stretches going forward. Thankfully. There is way too much music as is.